← 2017 Budget Summary – How it Affects Housing and how to take advantage of the changes! 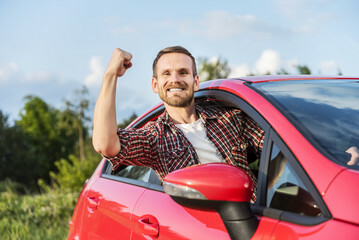 5 Ways A New Vehicle Can Save You Money! Financing vehicles for our clients is a relatively significant portion of our business. Over the years we’ve been able to improve the financial position of client’s by assisting them to purchase a new or second-hand vehicle. We thought it was worthwhile detailing how some of our clients have come out in front by upgrading their vehicles. 1. A new vehicle has allowed them to ditch a high rate finance contract. We see this situation all the time. A client has previously purchased a vehicle from a dealership and has been “horribly” stitched up on the finance by the dealers Finance team. Dealership Finance & Insurance (F&I) divisions are the most profitable part of any Dealership. They’re profitable as they thrive on placing their clients into contracts that are often 10%+ higher than what a client could obtain elsewhere in the market. The F & I teams are experts at using a combination of misinformation and the lure of immediate access to the vehicle, to get people to sign these horrible finance contracts. We often find that a new contract at a competitive market rate, even on a more expensive vehicle, can result in monthly savings to the client…sometimes often substantial savings! 2. The sales proceeds of the existing vehicle are used to pay down high rate debt, such as credit cards. Often, we come across clients that come to us for mortgage finance. When we undertake our due diligence we notice that they own their vehicles outright but have credit card debts outstanding. Sometimes these credit card limits are impacting their ability to qualify for the mortgage finance they’re seeking. In this situation, the client can improve their financial position by selling their vehicle, taking the cash and paying down or clearing the credit cards and then financing a new vehicle at a substantially cheaper rate than what they were paying on the Credit Card. – reduce the amount of interest that they would pay if they were to keep dribbling away on the credit card. – reduce their overall monthly commitments. – increase their mortgage borrowing ability. – end up with a newer vehicle that saves them on monthly costs. 3. Current interest rates are cheaper than when the existing vehicle was first financed. The vehicle that you financed 4 or 5 years ago was in a market environment where interest rates were many % points above what the market is paying today. You may be coming to the end of that contract. If the vehicle is still suitable for your needs, and is not costing you too much in running costs, then you would be crazy to upgrade. If your situation has changed and the vehicle has been trashed by the kids or you’ve just failed to give it the ongoing love it required, then you may be better off upgrading to a newer version. Good chance the repayments will be less than what you’ve been paying, resulting in monthly savings and a new vehicle to boot. Depending on the vehicle, you may be able to build a balloon payment into the contract and save substantially more on the monthly outgoings. This is a scenario that we’ve applied to clients that have come to us seeking mortgage finance. Initially they didn’t qualify and their vehicle commitments were the determining factor. By purchasing a new vehicle and structuring the new loan correctly we reduced their monthly commitments significantly to allow them to qualify for what they required. Often borrowers benefit from a balloon structure by enabling them to purchase a more suitable vehicle than what they could normally afford. This is common scenario. The client has had their vehicle for several years and own it outright. Eventually the time has come where some big outlays are looming and the vehicle is starting to become costly. Plus, everyone enjoys a new ride every now and then! We don’t always recommend refinancing! Although vehicle financing is a revenue stream in our business, we do not encourage every client to upgrade. We assess each client’s overall situation and provide a summary of their options. Often, they may be coming to the end of a contract and all the payments remaining are effectively principal reductions. In this instance it would be crazy to upgrade there was no pressing need. Sometimes the payout figure is so much above the current value of the vehicle (thanks Mr F & I guy) that it’s just not practical to do anything. One thing that we guarantee is that all of our clients obtain super competitive finance rates. It’s our value proposition and why our business exists. If we don’t save our clients’ money, then we simply don’t win the business. We’re able to achieve this because our overheads are low and we have no fat management salaries that need to be paid. If you think you may be able to benefit from a vehicle upgrade or are just in the market for a new vehicle, give us a call and we’ll help you put it all together. This entry was posted in Debt Consolidation, Motor Vehicle Finance. Bookmark the permalink.